This class goes over the safe operation of the ShopBot 3-axis CNC Mill Model: PRSalpha in the Pier 9 Workshop. A ShopBot is a computer controlled 3 axis machine that can be programmed to cut and carve a variety of materials. The ShopBot is an incredibly useful tool for cutting complex shapes in sheet materials, creating precisely fitted joints, making multiples of the same part, and more. This is a safety and basic use class suitable for shop users of all levels of experience and is a good starting point to gain experience in CNC machining. 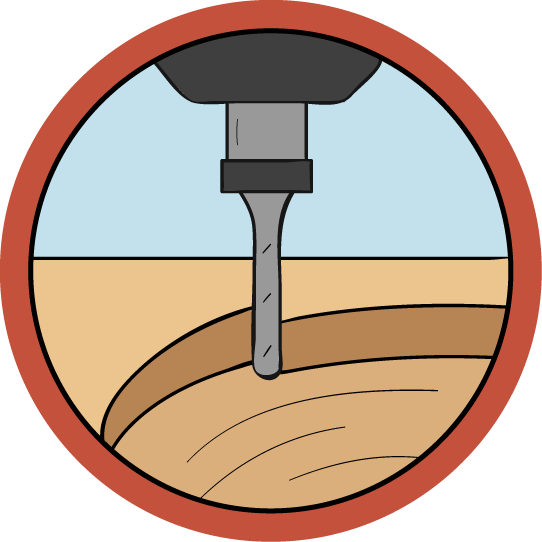 Wood Shop experience and the CAD and CAM Class are recommended as prerequisites for this tool. Selecting the right endmill is important. 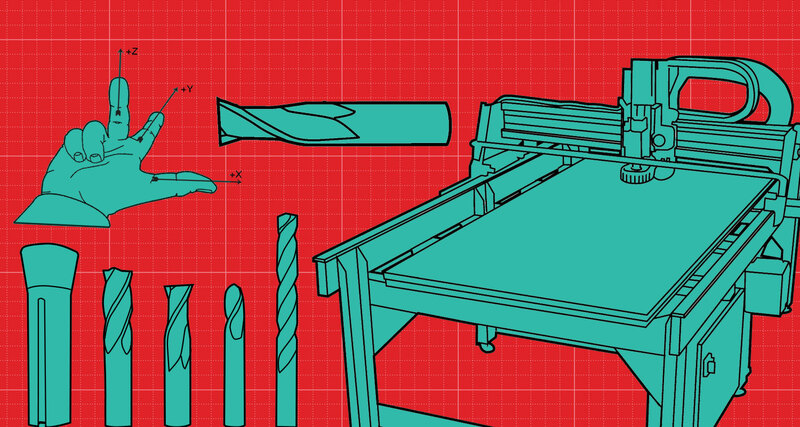 This lesson goes over how to select and install tools, as well as calibrate them. In this lesson, you'll learn how to energize the machine. By installing and running programs on the ShopBot, you are able to machine your sheet material into it's desired form. Recap for how to run the machine and a few more tips and tricks to get you the best results on the ShopBot. This lesson also includes a free PDF download of this class to use in your shop.